What is extreme weight loss? To me, wasting years of your life constantly struggling with your weight only to end up losing dollars and dignity (rather than actual fat) is pretty extreme. Thus, most people in the world today are victims of extreme weight loss. On the other hand, I went from morbidly obese to super-fit, losing over 50% of my original body weight (over 50kg) at a rate of nearly 1.5kg per week. That would be extreme for some people. Nevertheless, I’m one of the 4% of people who has actually kept the weight off. Did I resort to extreme measures to do it? No. I never dieted (except when I was fat and getting fatter) and I never undertook an extreme training regime (such as 6 training sessions a week aka Michelle Bridges 12-week body transformation or a host of other weight loss plans and programs). I also didn’t set a goal weight or a smart goal, didn’t announce my intentions to the world or make myself accountable to others in any way. And, I didn’t use rewards to motivate myself. So I pretty much went against everything that most weight loss plans and programs recommend that we should do if we want to lose weight. Blind Freddy can see that the traditional weight loss methods aren’t working for weight loss. By 2020, 80 percent of Australians are predicted to be overweight or obese. So it’s clear that we need to go to extremes for weight loss, and by this I mean throwing away the box of weight loss methods that we currently have. They are so useless it’s not even a case of just thinking outside the box. Extreme action is necessary. Extreme weight loss is necessary. Fix our burgeoning bellies and we fix the health care system. 80 percent of GP visits are lifestyle-related. Obesity costs Australia over $50 billion every year in medical expenses. Yes, extreme weight loss is necessary. But another diet? Another ‘go hard or go home’ exercise regime? Another pill? Another shake? Another personal trainer? Another detox? Another fad? Another ‘lose fat fast’ (which translates to ‘get rich quick’ I might add). These aren’t extreme weight loss. These are the same-old, same-old. If nothing changes, nothing changes. Now, if you’re in the weight loss industry and you just want to profit from the misery of others then don’t change a thing. On the other hand if you are struggling with your weight and actually want to win your weight loss war, then extreme measures might be just what the doctor ordered! Most people maintain a steady weight with a slight fluctuation between half and 1 kilogram per week depending on their lifestyle, work and family life, and the time of year such as Christmas holidays. Extreme weight loss is defined as going against normal weight goals and can be applied to anyone who loses more than 1kg per week, especially if this persists over several weeks. 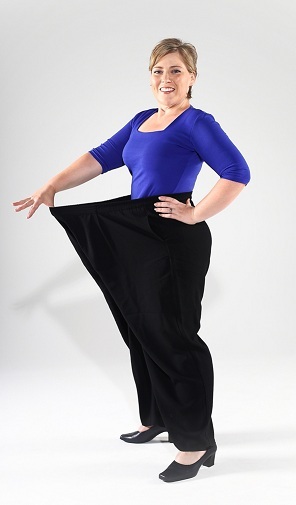 Extreme weight loss may be advocated for the morbidly overweight and obese, who may require significant weight loss prior to, and following bariatric or similar life-saving surgery. However for the average person, extreme weight loss is not considered as a healthy method for them to achieve their weight loss goals. Extreme weight loss as can occur for a variety of reasons such as illness, post-pregnancy or individuals seeking to lose weight for an upcoming event, such as a wedding. However, in most cases, extreme weight loss is attributed to a sudden onset of a dramatic change in diet, food restrictions, or excessive exercise. In some cases, extreme weight loss can also be associated with body image issues and eating disorders. This can lead to many problems including yo-yo dieting where food restrictions are difficult to maintain and often lead to the discontinuation of a diet, and weight gain that equals or exceeds the loss. Extreme weight loss can also lead to nutritional deficiencies from inadequate intake of nutrients. These include hair loss, skin problems, and physical fatigue, as well as mood swings, dehydration, acidosis, constipation, and most alarming, increased stress on major organs such as the heart. This can also lead to illness such as gall bladder disease. A healthy approach to weight loss for aesthetic and health reasons is best achieved through a combination of sensible eating and regular exercise. In addition, subtle changes in diet and exercise patterns that are easier to maintain and continue and that do not contribute to a sense of total food deprivation or nutritional loss are much more beneficial. For example, adding in an extra couple of gym classes per week, hiring a personal trainer for a weekly session, or reducing your sugar intake, as well as replacing your soft drinks and snacks with water and healthy food alternatives or joining up with a weight loss program for an agreed amount of time. A successful personal trainer and owner of Fit Fantastic, Ali is also a popular group fitness instructor and an accomplished consultant, writer and speaker on fitness and health topics within the community. As Rockwear Ambassador and ‘superstar’ for the Australian Institute of Fitness, Ali is spreading her energy across the country by mentoring upcoming fitness professionals and making appearances at schools, charity and community events. In her spare time, Ali acts. She has appeared in the Australian Institute of Fitness National ad campaign as well as Home & Away, Biggest Loser, The Circle, Great Gatsby and other productions. Ali is also tertiary trained as a HR Manager and has held such positions within N.S.W Government. Some love it, others hate it. It inspires many to take action, for others it’s just reality TV. But for me “The Biggest Loser” changed my life. I was at my lowest point, my highest weight ever, and I was seriously contemplating gastric bypass surgery. Anything for a quick fix, right? But in 2004 something kind of new hit our TV screens. It was the first season of America’s Biggest Loser. For the first time I was exposed to people my size, groaning, moaning and making all the excuses I had made. But at the end of the first week the results were in. I’d seen people just like me shift huge amounts of weight. Impossible amounts of weight. It was the first time I’d even fathomed that losing an extreme amount of weight was even possible for me. It was the first time I saw a glimmer of hope that I could finally become ‘normal’. That was almost 10 years ago and a lot of water, and more than 70kg of fat, has passed under my metaphorical bridge. Not being in the “Biggest Loser” house meant that I had to take my journey alone, without the pressure of public humiliation at the weekly weigh-in. And believe me, that pressure is the single biggest motivator to contestants staying on track (oh, yeah, and the cash). But that pressure cooker is also the reason that so many of the contestants put much of the weight back on after the show has ended. In my journey I had to learn and embrace the three core aspects of Mind, Body and Spirit that combine these become a powerful life-changing catalyst. It also led me to study nutrition and personal training, and more recently to write a book about my experience in the hope that I can inspire, and coach, others to make their own very personal weight loss journey. Losing extreme amounts of weight is not all beer and Skittles though. In fact there’s no beer or Skittles. And the original program was not for feint-hearted contestants. Apart from the intense environment and potential of public ridicule the first series consisted of extreme exercise programs and a calorie intake that bordered on starvation. There was very little consideration of mental states, emotional support or developing the ‘spirit’. Things seem to have changed and moderated in the “Biggest Loser’s” approach. Eat 1,000 calories, burn 1,000 calories and reveal your inner demons. More a crockpot now than a pressure cooker, but still one that makes for entertaining watching after selective editing. I do find moments on the show that are truly ‘inspirational’. Not just the amazing physical transformations, but the mental shifts that take place because I know first-hand that it’s the depth and volume of shifts that help make any change truly permanent, including weight loss. The key is knowing how to trigger those shifts and finding the right inspiration. Then it will work for just about any change you want to make in your life. I’m living proof. Never seen anything quite as amazing as this site. Great content. Keep up the hard work!! I decided to leave a message here on your exo website. Why? Well, I’ve not seen one so goo in a long time. You’re fab!